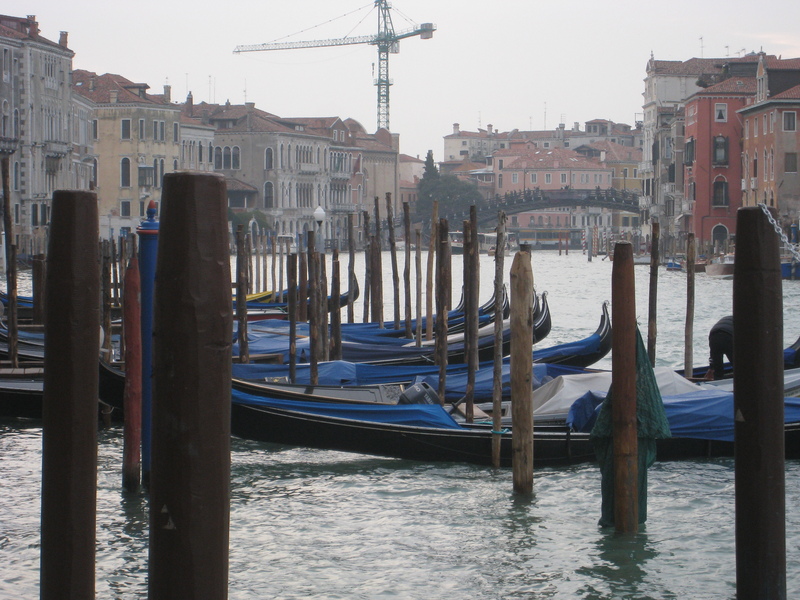 A long time ago, in happy-go-lucky, freewheeling times, I lived in Venice. It wasn’t a long-term thing; just a summer internship over the course of a few months, but it was long enough for me to fall head over my Supergas in love with the place. When I returned to London, there remained some Venetian experiences on my Bucket List that would have to wait for subsequent visits. Quite unbelievably, if you think about my passion for food and drink, one such missed undertaking was to drink a Bellini at the erstwhile Hemingway haunt of Harry’s Bar. As a student intern, my salary just about covered rent and food, but didn’t quite stretch to evenings, let alone just one drink at this eponymous venue, with the enduring reputation of being horrifically expensive. In the interest of keeping some Lira (yes, these were pre-Euro days) in the bank, I avoided it like the plague. 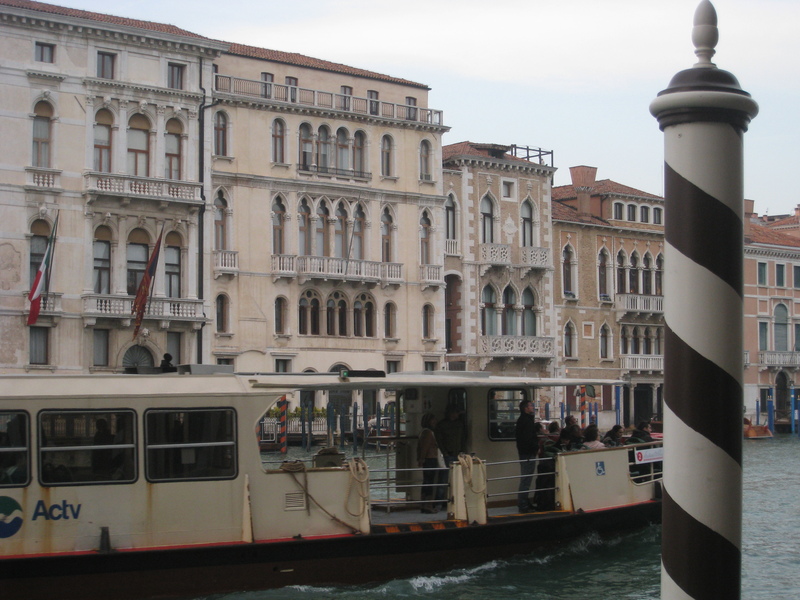 Some years later, I returned to Venice to introduce Monsieur to this grand city of canals. It was winter. For different reasons, I didn’t have a lot of dosh at the time, so, yet again, for reasons of economy, Harry’s Bar didn’t happen. Then, on my birthday this year, my dear French husband surprised me with tickets to Venice and boy, did he ever score brownie points. This time I was determined not to leave without sipping on a Harry’s Bar Bellini, all sixteen extortionate Euros of it. Before we could even begin to factor Harry’s Bar into our trip, Monsieur and I found ourselves thirsty in Dorsoduro. We’d just about reached the white-domed magnificence of Santa Maria della Salute when we peeped through a gate to find a new hotel: the lush Centurion Palace. Walking through the courtyard, we were surprised to find its elegant tables and seating areas empty at what was most certainly cocktail hour. 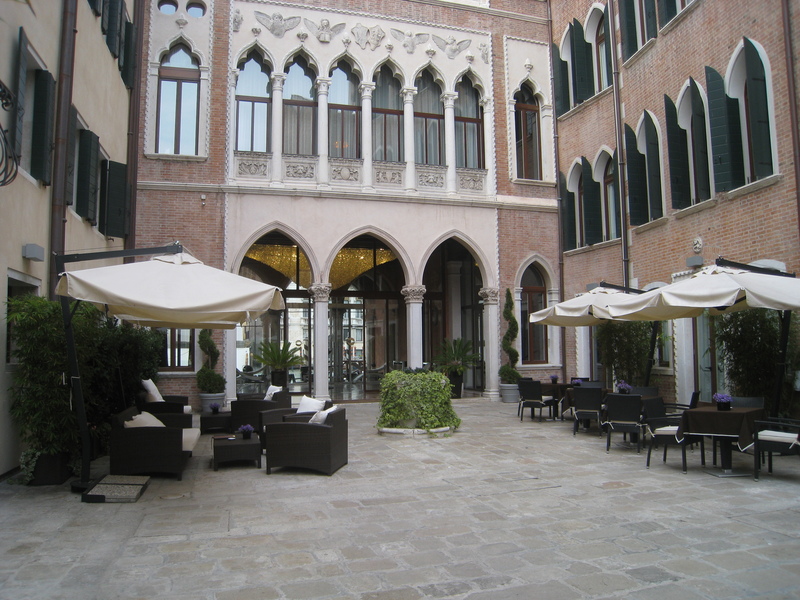 Across the airy lobby we spotted a small terrace giving directly onto the Grand Canal. 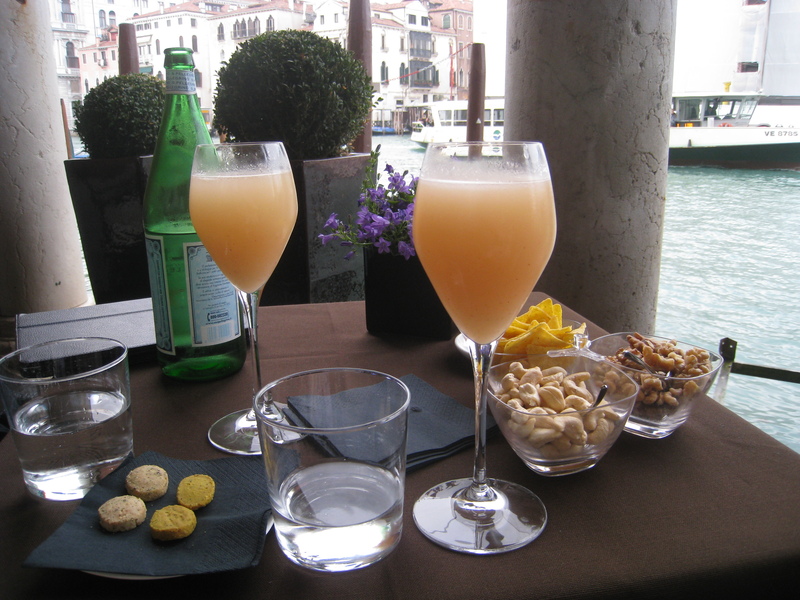 There were only a few tables, but all were free, so we sat and ordered a pair of Bellinis to celebrate our arrival in La Serenissima. It might not have been Harry’s Bar, but the view was hard to beat. Resting our feet we lazily watched the Venetian world pass us by on boats. Even the occasional scream of Vigili del Fuoco or Polizia sirens (also on boats) couldn’t bother us; this was bliss. The Bellinis arrived after a suitable amount of time, which I must say I found comforting as it showed that our drinks hadn’t been poured out of a ready-mix cocktail bottle. One sip alone verified this. There was at least one whole fresh white peach involved per glass, blitzed with a healthy dose of gently bubbling prosecco. Ah, yes, we had lucked out in our impromptu cocktail stop and were now relaxing, the finest of godly nectars (I swear this is not hyperbole) slipping with ease down thirsty throats. What’s more, the generosity of measure and syrupy nature of the drink meant we could take time to smell the roses (or canals) before heading off across town to our dinner destination. A while later, as we churned up the Grand Canal on a vaporetto, I snapped the terrace where we’d so enjoyed our first Bellinis of the trip. Sadly, this pic doesn’t do it justice. In summary, the Centurion Palace would be hard to beat for a Bellini on the go. The drinks are fabulous, the vistas magnificent and the nibbles original and moreish (curry cracker, anyone?). If you’re a keen boatspotter, this is the terrace at which to imbibe. A Bellini costs €15.00 here. Expensive, yes, but not quite as hefty as that establishment across the way where its forefather was conceived by a certain Signor Cipriani. All I can say is that if you feel like dropping €15.00 for one drink and a nibble or two, go no further; it’s money well-invested in a memory that will last a lifetime. As for Harry’s Bar? That’s a whole post of it’s own, but it had a lot to live up to after Bellinis at the Centurion. Suffice to say that I’ll never forget our evening there, for all the right reasons. 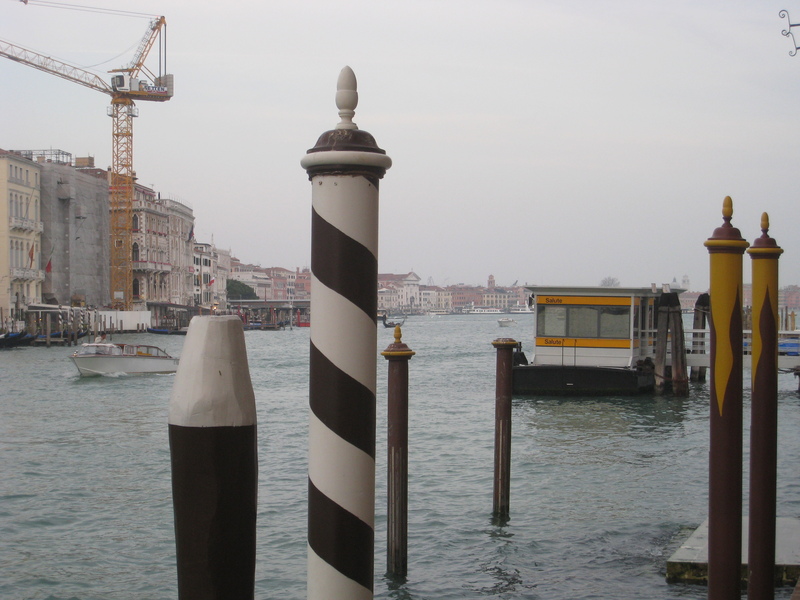 The easiest way to find the Centurion Palace: Take a vaporetto to the Salute stop. Get off and turn right immediately, heading away from the church. You’ll pass through an arch. A zigzag later will find the Centurion’s gate on your right hand side (Grand Canal side). Alternatively, if you’re made of moola, just whistle for a water taxi and they’ll drop you right next to the terrace I’ve been lauding above.